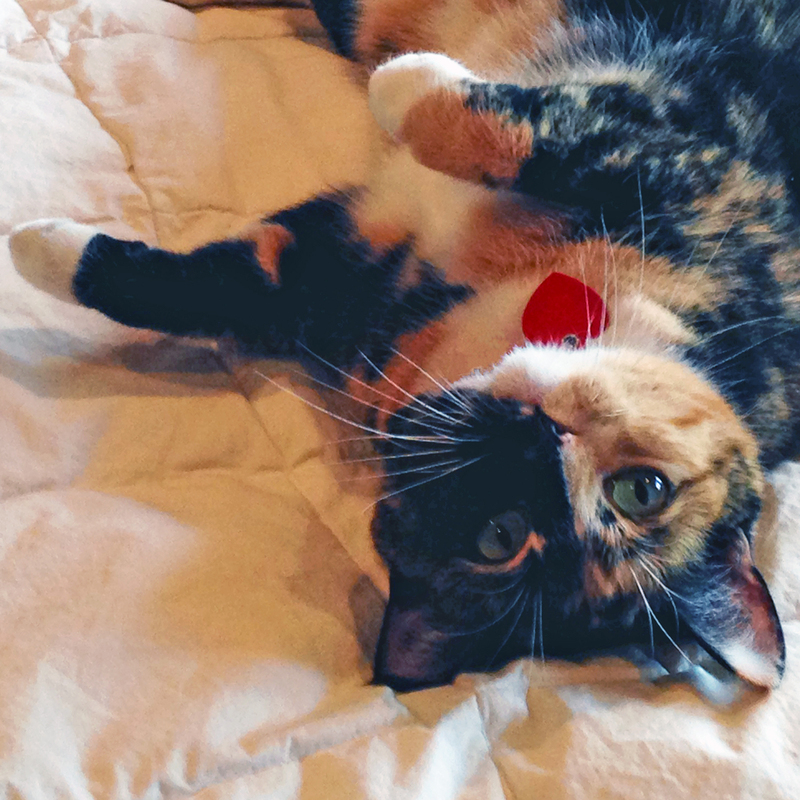 By the way, today is National Cat Day. My cat Ichi is expecting some major attention. 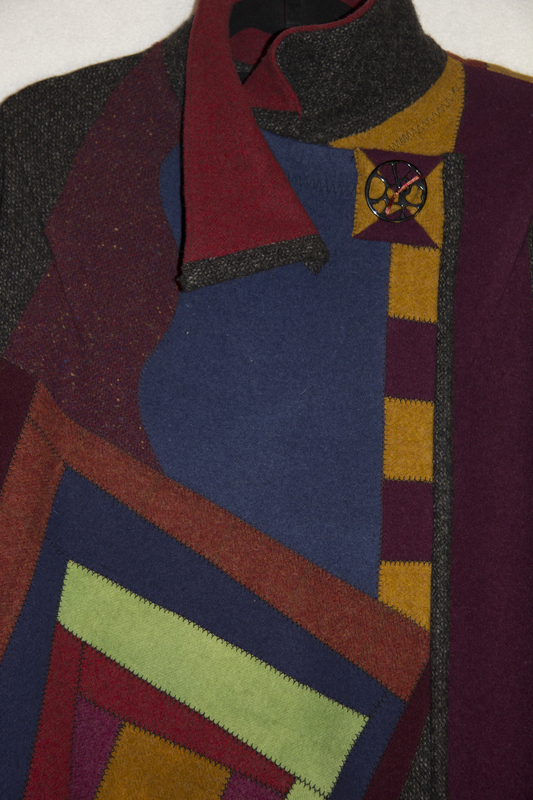 I had a few requests for information on the construction details of my coat. 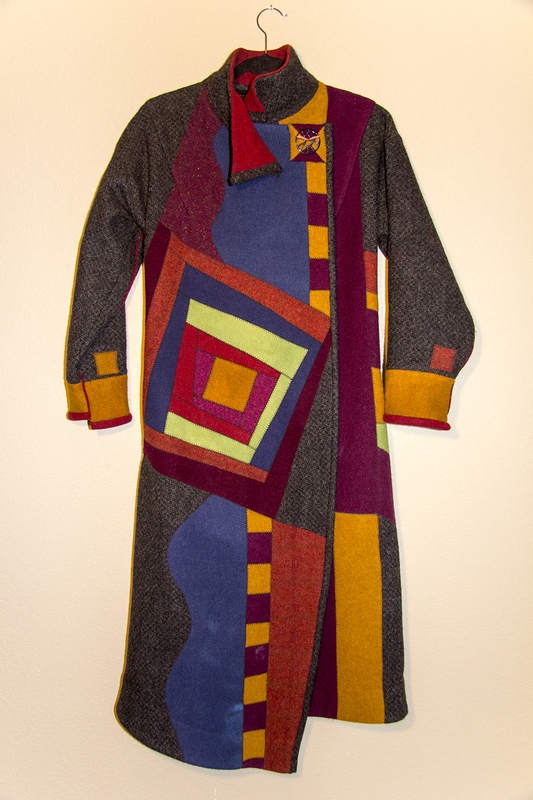 The fabric is just a single layer of wool so it’s perfect for fall in Colorado. It’s roomy so I will be able to wear a sweater underneath as it gets cooler. Below is a detail of the collar and front closure. I found a cool button at my local yarn shop, The Loopy Ewe. 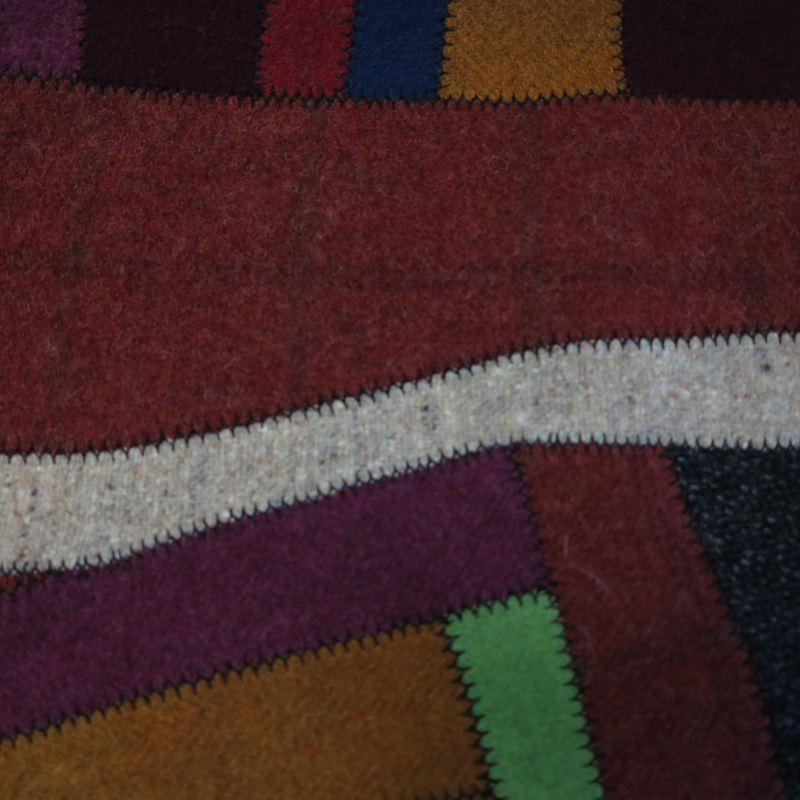 In this image you can see the decorative stitching that is holding the different colors of wool together with a butted joint. I used that wonderful presser foot with the metal blade down the middle. You can also see that not all of the wools are solid. The rusty-red has a subtle plaid. 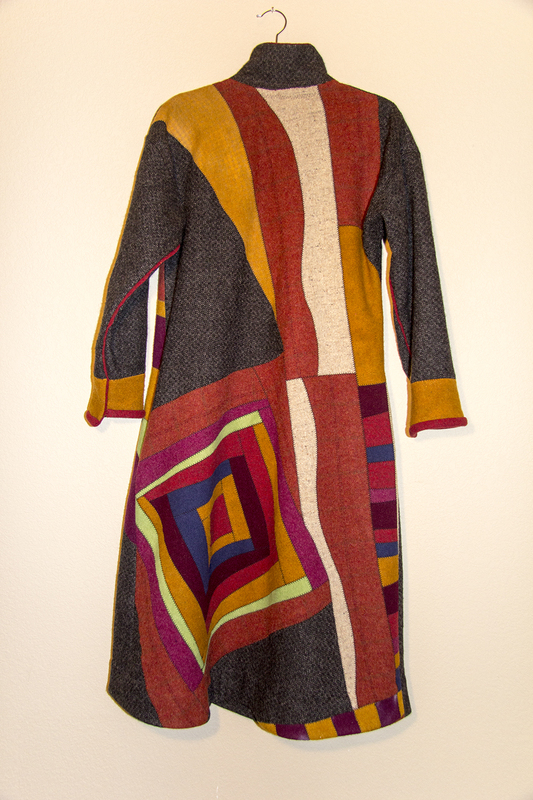 I just finished a new fall coat using Diane Ericson’s Heartfelt Coat Pattern. I hot water machine washed the wool yardage to felt the fibers together. 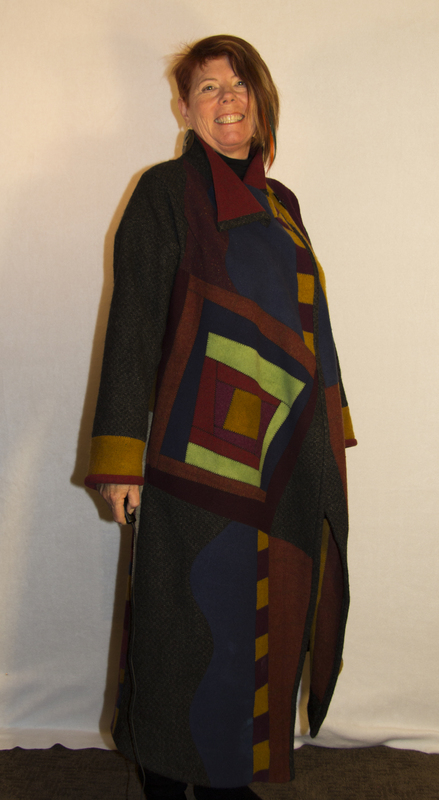 After that I worked with the fabric patterning in order to build yardage that would enhance with the coat pattern. The wool is butted together and held with a decorative stitch. I actually started this 5 years ago and put it in a basket because it was just too big of a project. I wore it on Saturday night and it was a success!